Four women - friends, family, rivals - turn to online dating for companionship, only to find themselves in the crosshairs of a tech-savvy killer using an app to target his victims in this harrowing thriller from the New York Times bestselling author of See Jane Run and The Bad Daughter. Online dating is risky - will that message be a sweet greeting or an unsolicited lewd photo? Will he be as handsome in real life as he is in his photos, or were they taken ten years and twenty pounds ago? And when he asks you to go home with him, how do you know it's safe? The man calling himself "Mr. Right Now" in his profile knows that his perfect hair, winning smile, and charming banter put women at ease, silencing any doubts they might have about going back to his apartment. 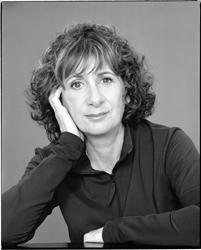 Joy Fielding (née Tepperman; born March 18, 1945) is a Canadian novelist and actress. She lives in Toronto, Ontario. Born in Toronto, Ontario, she graduated from the University of Toronto in 1966, with a Bachelor of Arts in English Literature. As Joy Tepperman, she had a brief acting career, appearing in the film Winter Kept Us Warm (1965) and in an episode of Gunsmoke. She later changed her last name to Fielding (after Henry Fielding) and began writing novels. Fielding is also the screenwriter of the television film Golden Will: The Silken Laumann Story. At the age of 8, Joy Tepperman wrote her first story and sent it into a local magazine, and at age 12 sent in her first TV script, however both were rejected. She had a brief acting career, eventually giving it up to write full-time in 1972. She has published to date 22 novels, two of which were converted into film. Fielding's process of having an idea to the point the novel is finished generally takes a year, the writing itself taking four to eight months. Joy Fielding sets most of her novels in American cities such as Boston and Chicago. She has said that she prefers to set her novels in "big American cities, [as the] landscape seems best for [her] themes of urban alienation and loss of identity. Fielding is a Canadian citizen. Her husband's name is Warren, and they have two daughters, Annie and Shannon. They have property in Toronto, Ontario, as well as Palm Beach, Florida. Fielding had an interview with the Vancouver Sun in 2007, just after her publication of Heartstopper. She enjoys catching readers off guard with the endings of her stories, but insists that "[it] isn't what her fiction is about", but rather more about the development of her characters. Discussing her novels with the Toronto Star in 2008, she said "I might not write fiction in the literary sense. But I write very well. My characters are good. My dialog is good. And my stories are really involving. I'm writing exactly the kind of books I like to write. And they're the kind of books I like to read. They're popular commercial fiction. That's what they are. "Fielding has been noted as a novelist who is more popular in the United States and foreign countries, rather than in her native Canada. For example, the novel Kiss Mommy Goodbye was more popular in the States, and See Jane Run in Germany. In addition, she had an American agent and publisher, although she has now switched to a Canadian publisher.